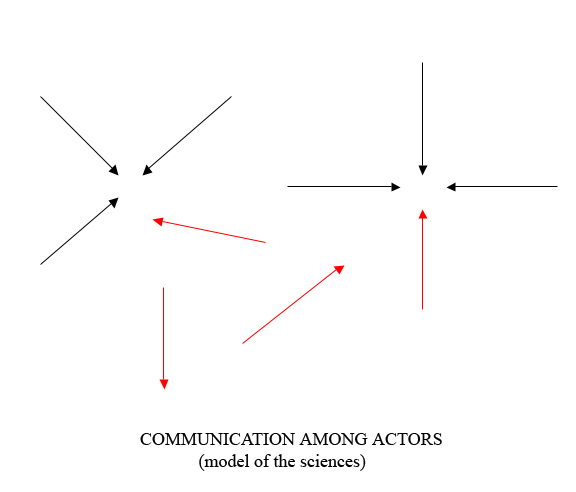 An Unenviable Situation: "Communication is two people looking at the same object"
"Communication is two people looking at the same object"
The model of the sciences above is too simple. It was meant as a description of shared assumption, geek enthusiasm. 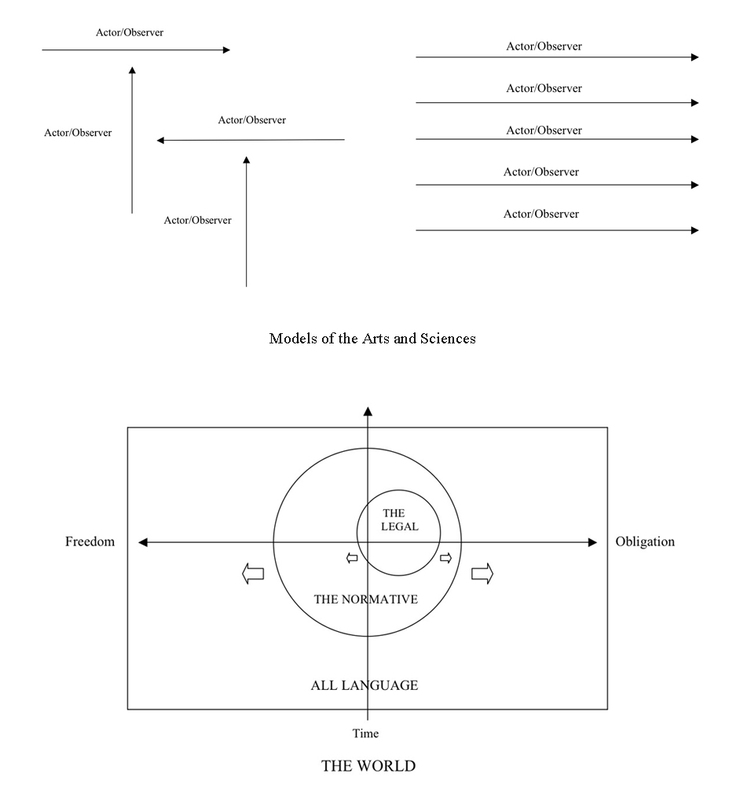 The model of the arts describes observation of action and performance rather than direct communication, direct communication which is in fact impossible since we communicate only through mediating forms of behavior and language. We aren't mind readers. Below is the model of science communication as idealized by technocrats.